I'm TOTALLY digging this Stila set... ALL of the colors can be used on the eyes, cheeks, and lips. LOVE IT! If you go to www.stilacosmetics.com, they sometimes have free shipping on orders over $20.00. Score!!!!!!! I about flipped when I saw this Lorac Pro set at Sephora. I purchased three as I KNOW I will use these up... The color quality is PHENOMENAL. From the most natural eye, to the smokiest of smoking hot-----this is def one of the favs. I have a feeling my make-up artist friends out there are going to LOVE Smashbox Studios creme liner set. It's equipped with a precision brush, and the pigments are out of this world gorgeous. If you spend $50.00 or more in product on Smashbox.com, you'll get three deluxe samples. I don't think that will be difficult, smile. Told you it wouldn't be difficult.. This is Smashbox Studios, "Shades of Fame" palette. It's equipped with 9 shadows, 2 creme liners, and a lid primer. Haven't the foggiest where you would use the colors? There's a how-to-guide to help you out. SMOKING! I couldn't forget about this palette from www.bhcosmetics.com. It's not top of the line, but for photo shoots, it's awesome (for all my artists out there) The colors are beautiful, go on well, and the price point is under $20.00----nice, right? Well, I SOOOO appreciate you all reading, you make me so happy with your feedback. CHEESE! I'll be back very soon! My next post, is in regards to a book that changed my life. I promise you'll love it. Hi Beauties! Happy Labor Day Weekend! I decided to put together a blog posting that highlights amazing shadow palettes for this Fall season. Nothing like having multiple colors in one convenient set-up at your disposal. If you travel frequently, love experimenting with colors, or just want to keep your counters clutter free--you will LOVE the palette concept. Below you will find some of my favs! I own these for my professional make-up kit, and personal kit. Enjoy! 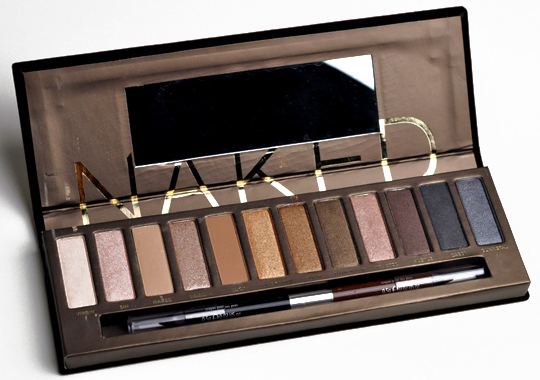 I absolutely love the, "Naked Palette', by Urban Decay Cosmetics. With so many colors at your disposal, and a fabulous 24-hour liner, it's easy to see why this is almost always sold out. You can find it at Sephora stores, and some department stores. 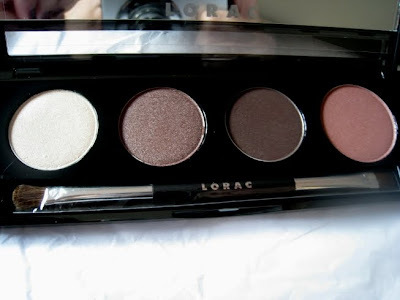 Lorac Cosmetics, "Red Carpet, Reveal" palette is fabulous. 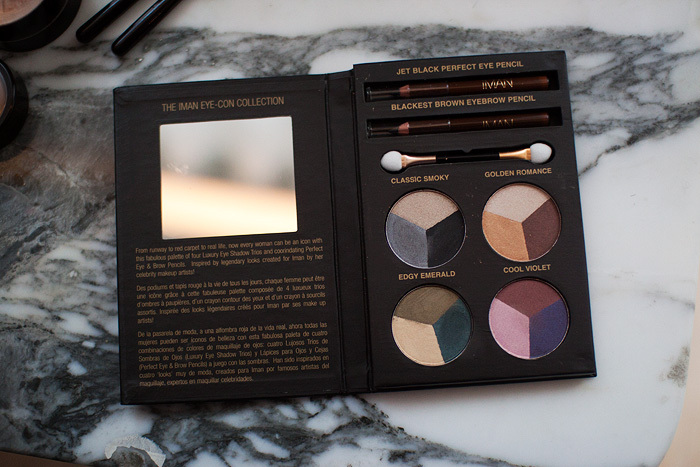 If you have an olive skin tone, this is the perfect go-to for a natural toned smoky eye, or every day sultry look. You can use the pinkier tone for an amazing cheek color. I also found this at Sephora. After working an event for V.S., I was gifted their, "Hello Bombshell" make-up kit. LOVE! It has 30 shadows, 5 lip glosses, 5 lip sticks, 4 blushes, 1 luminous powder, 1 translucent powder, 1 bronzer, 1 mascara, 1 lip-liner, and 1 eye-liner. (Fiiiiiive Golden Rinnnnngs!) Sorry, I had to :). I carry this pretty gal in my pro-kit. I don't like the eyeshadow applicators as I work on multiple faces, but other than that, the pigments are wonderful! Victoria Secret currently sells them in-store, and online. This is probably one of my FAVS! The Bobbi Brown Cosmetics, "Desert Twilight". LOVE, LOVE, and LOVE. This palette looks amazing on some of my bridal clients, and Honey, you know I just had to have it for myself. FABULOUS!!!!!!!! If there is a Nordstroms, Von-Maur, Saks Fifth Ave, Henri-Bendels, or Sephora, you should be able to find this amazing product. Also, Bobbi Brown cosmetics online is FABULOUS. Totally digging the Iman Cosmetics, "Eye-Con" Collection.... I found this at Target, and flipped when I tested the colors out on my hand. With make-up artists, we always look for consistency-- is the texture smooth? Creamy? Hard? We check for how well the pigment shows up.. Do we have to re-dip our make-up brush to get the full coverage we desire? I found that her colors felt smooth, the pigments are very concentrated (a little goes a long way), and they are BEAUTIFUL. 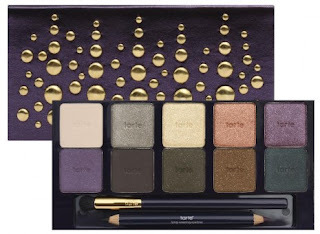 I will end Part (1) of this posting with Tarte Cosmetic's answer to a palette. I LOVE the fact that the shadows are removable by way of magnetic technology, and the shadows are actually organic, all natural make-up. Plus, when you run out of one shadow, you just buy a re-fill. Tarte is big on being kind to your skin, but also being kind to planet Earth. By buying refills, it's less wasteful as you're not buying the container.. I've used their palettes for YEARS. LOVE them.